*Disclaimer - I received the product in this post from Nickelodeon Home Entertainment, in order to facilitate this review for my readers. It's all paws on deck in PAW Patrol: The Great Pirate Rescue! 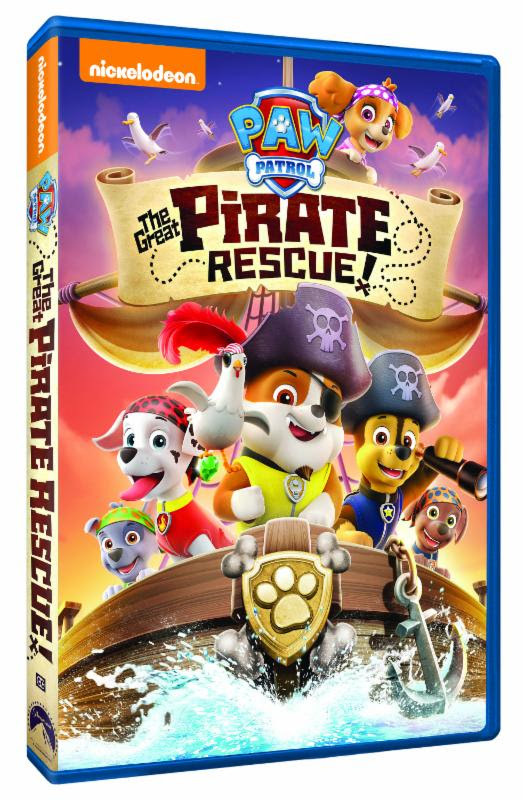 In this six-episode, swash-buckling adventure, the PAW Patrol take to the high seas for some epic rescues. Our two year old son absolutely loves PAW Patrol and this movie will be a favorite of his too, I'm sure! He has a lot of PAW Patrol items - movies, bedding, shoes, and more! He loves the puppies. This new movie is such a cute one that kids everywhere will love, especially toddlers. Fans can join Ryder, Chase and the rest of the gang as they discover a secret pirate cave, embark on a treasure hunt, rescue whales and more. This DVD will be available on September 5.